Woman's silhouette at. 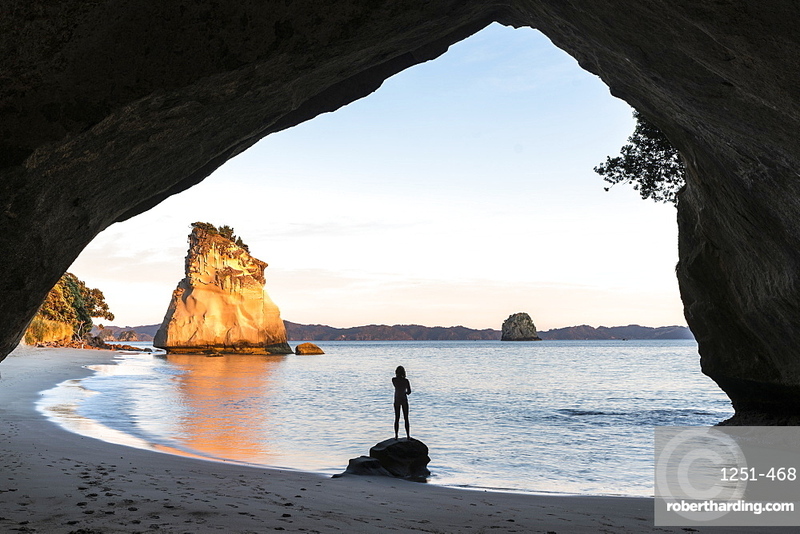 Cathedral Cove. Hahei, Waikato region, North Island, New Zealand.